Sinch is a VoIP system that makes it easy to add voice, messaging, and Short Message Service (SMS) to apps. Its features include voice calling, call recording, and cross-platform support among others. In this article, we cover Sinch reviews and pricing. Ready to get started? Visit its website. As of the date this article was written (February 18, 2019), there are no Sinch reviews online. If you are a past or current Sinch customer, leave a review to help other business owners who are deciding whether or not to use the software. Sinch pricing details vary across its different products, which are priced according to usage: SMS Messaging (starts at $0.01/message); Data Calling app-to-app ($0.002/minute); Data Calling landline and mobile ($0.01/minute); Phone Calling ($0.004/minute inbound, $0.01/minute outbound, and $0.8/month outbound mobile numbers); and Video Calling ($0.003/minute). *The aforementioned prices vary according to carrier and country. Ready to get started with Sinch? Visit its website. 6 Best Small Business VoIP Phone Service Providers for 2019 – Voice over Internet Protocol (VoIP) phone services are internet-based alternatives to traditional landline phones with features like auto-attendants, voicemail, and customer relationship management integration. In this guide, we compared the best VoIP programs in terms of pricing and features offered among others. How will I receive SMS replies? To receive text messages and replies, you must first purchase an inbound SMS number. You may contact Sinch Support to configure the number to your account. Upon configuration, you will be able to access your replies in the “SMS response service” tab. How many people can participate in Sinch conference calls? Sinch can accommodate up to 100 users per conference call. Have you read these Sinch reviews and are still not sure if it’s the right fit for you? Read our reviews of all top VoIP software providers. This company does at the fulfilling the purpose of the product. I used this during my internship when I was making an android project and I needed voice and text communication and this worked flawlessly. The sound quality is fantastic and is on par with other VOIP services that I’ve used in the past like WeChat or facebook messenger. There is also a ton of documentation which is simplistic to use. What I don’t think they do well is advertise their product to young developers. There are lots of other VOIP services out there like Twilio and Firebase who all have a large user base. 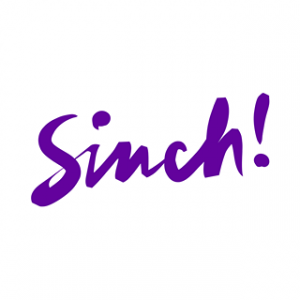 Sinch is small in comparison and I think they can do a better job of getting their name out there. This I do not have an opinion about.